SEO used to be a self-standing marketing discipline, having a well defined, generally accepted set of activities and objectives. No more. Today, SEO is much more intertwined with other marketing activities, making it difficult to know where SEO ends and where social media, for example, begins. Furthermore, recent developments at Google suggest that the search engine giant has embarked on a strategic campaign to change the nature of, and in many ways devalue, the practice of SEO. Taking all of this into account, I’m really beginning to wonder if SEO as we know it will be around in 2015. This post will review several of these developments, and suggest possible outcomes. One thing is for sure: SEO practitioners and clients better be ready to make serious changes in the way they operate. Two crucial observations about this. First, the latter two points about usability and speed loading fall into areas where things such as web design, conversion optimization and programming, strongly come into play — indicative of SEO’s growing reliance on other marketing disciplines. Second, link building, traditionally the core of SEO, is not even on the list! Google clearly followed through on Cutts’ suggestions when it released the Penguin algorithm update, which was designed in large part as an assault on link spam. Certain commonly used link building techniques — using keywords repetitively in anchor text, for example — went from being effective to ineffective. And although Penguin takes aim at clear black hat abuses (devious efforts to game the system), directionally, Google wants to see backlinks sprout up naturally, rather than through the efforts of professional SEOs. What makes links sprout up naturally? Unique and relevant content, according to Google. The rise of authorship. Through its rel=author link, Google now associates content with its creator as well as the publishing site. A “branded” author with high influence in his/her niche may be able to outrank similar content published on a stronger domain. This is a developing trend, but the day may come when a powerful author could have more impact on search visibility than any amount of traditional SEO work. The rise of personalized search. Today, search results can be objective or subjective. By using personalized search, users can see content written and recommended by people in their extended social media communities, as well as content based on their own web history. Rankings for non-personalized search, a common SEO performance yardstick, have become incomplete and unreliable. Search visibility can take many forms, some of which are beyond the influence of traditional SEO. Two final signals that the SEO industry may be heading for obsolescence. First, Google is becoming noticeably more transparent in making its algorithm and strategy. Google is taking the guesswork out of SEO by making it pretty clear what its looking for. In the past, there was more room for SEO firms to cook up a secret sauce; today, there are fewer activities to do (because Google is chipping away at “manipulative” tactics) and fewer ways to do them. Second, Google is hiding organic search data for users who are logged into Google. This “not provided” traffic makes it difficult to interpret the impact of SEO activity. It’s rather curious that Google is becoming more transparent with its rules and less transparent with its metrics. My interpretation: these moves lessen the appetite for organic search and increase the appetite for paid search. Since Google makes money on paid search, it would seem to be a smart business move. Great for investors … not so great for SEOs. Our firm, which specialized in Internet marketing in Chicago, is smack dab in the middle of this swirl of strategic shifts. For many of our clients, companies in B2B niches such as small business merchant account processing, social media, content-drive or author-driven content, and personalized search visibility have never seemed particularly relevant. Are “old school” SEO techniques still going to be effective? If not, how will firms like these be able to gain organic search traction, given that there may not be a lot to discuss in social circles about industrial gloves and credit cards? Here are a couple of thoughts about the future. For sure, piling up backlinks for the sake of numbers won’t accomplish much. Quality will more decidedly trump quantity, which means that SEOs will have to be much more strategic and clients will need to place a higher value on one spectacular link than 100 mediocre ones. Organic search visibility will gain ground in the sense that many other types of Internet marketing, from social media to conversion optimization, will need to factor SEO into their strategic and tactical equations. Even if SEO melts away as an independent discipline or department, SEO expertise and SEO experts will be indispensable members of every marketing team, regardless of how it is organized. 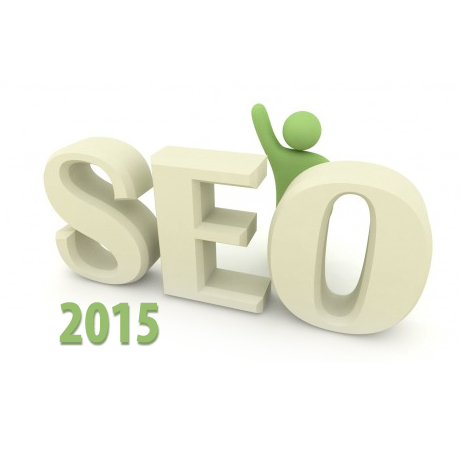 What do you think — what will SEO look like in the year 2015?